Hey Verizon! I'm Not a New Customer! Stop Rubbing It In. 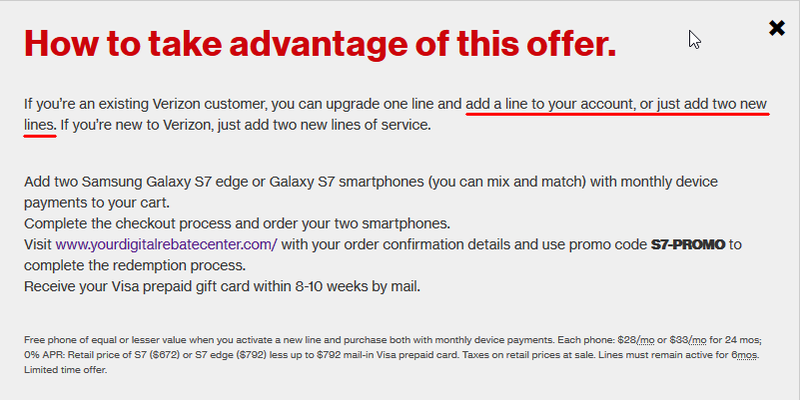 My experience with Verizon is if it sounds too go to be true, it is. Why do they feel they must teach that lesson over and over? My wife an I are currently limping along on two old HTC One phones - the original M7 models, mind you. They've been decent phones .. sort of. Before I bought one, I had heard the camera wasn't the best feature. That's an exaggeration. They have absolutely horrid cameras. Even under the best conditions, the pictures are just so-so. Under less than ideal conditions, they're useless for pictures. One of the reasons I bought them was because of the reputation for build quality. .. Yeah. Sure. One of the speakers on my phone only works at about 1/2 volume. The tiny notification LED stopped working on my phone only after a few months. I didn't drop my phone, or get it wet. It's been in a protective case since day one. It does still make calls and browse the internet. And it's a great hand-warmer in the winter, too! Queue the first grandchild. Now, I need a good camera phone. (I always did, but now, I have an excuse that will fly with the other interested party.) I've really been interested in the Galaxy S7 Edge since I heard they were bringing back expandable storage, and their cameras have been getting some amazing reviews. Umm. Verizon. Sorry to say this, but I am not hiding one or two extra people in my basement that are in need of new wireless service. If I was doing that, I certainly wouldn't give them their own phones! Nope, I have the same three lines that we've had for years, and don't need any more .. which is likely true of about 98% of all the existing customers to which you sent that email. I admit, you had me going for a bit, though. At least, I didn't have to dig too deep to find out where it goes pear-shaped. My rough back-of-the-envelope estimate is we've probably paid over $18,0000.00 to Verizon Wireless in the last decade. I'm positive that's conservative. Doesn't matter; all water under the bridge or down the hole or whatever. Tonight, my wife mentioned seeing the same offer during a commercial. I thought I'd check again just in case the terms changed. Nope. Existing customers get nothing (unless they become higher-ARPA customers). 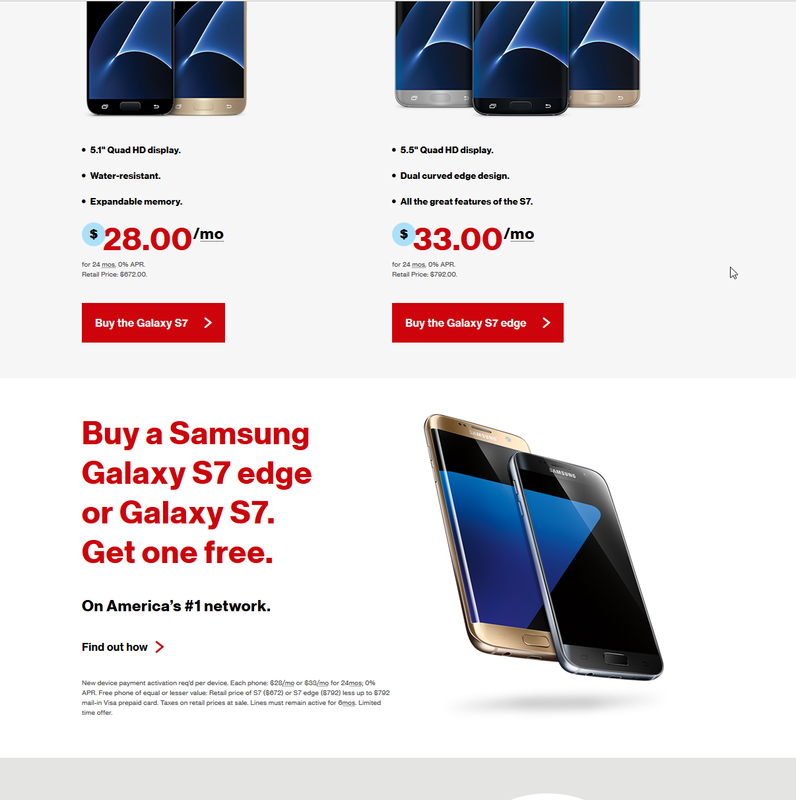 Got an automated email from Verizon Wireless to the effect, "Hey, we noticed you were pricing the new S7s, but you didn't buy any." No, sh*t, Sherlock. Not likely to any time in the future either at $800 a pop. 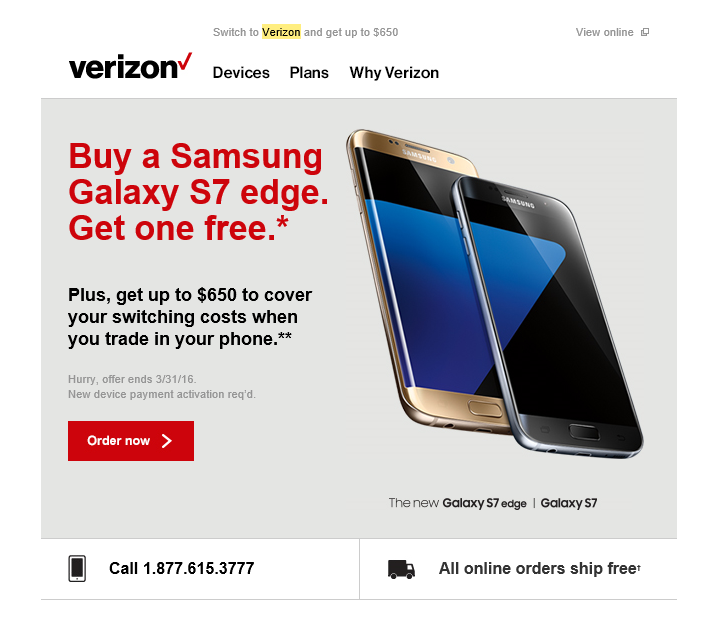 Could you please stop rubbing it in how much better I'd have it as a new customer? I could become somebody's new customer.